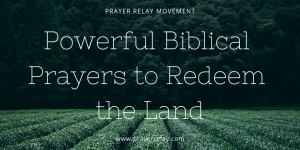 We are in desperate need to raise prayers to redeem the land. No matter where in the world you are reading this from. We live in evil times. Our lands and nations are no longer of the Lord. They no longer abide by his will. Instead of reaching and redeeming people, our churches are compromising in order to accommodate people. As such, we end with pews full of people who are not here for the right reasons. Our lands and nations are going to waste, because now more than ever the church places politics above Christ! We have placed finance above righteousness. Yet, this is not all doom and gloom. The Bible tells us that we have an intercessor who understands our plights and sits at the right hand of the father. The scripture above provides us with a way out. God us how we can be redeemed from the state that we find ourselves in. We will break it down, and pray as we do so. This got me to really question, if we are still his people? I know we say we are but are we living as his people should? Do those who see us see him? Father, we pray that this would not be the case for our land. We pray that this would not be the case for our pastors and leaders in this land. In this time of great denial and exodus from standing in the truth, we choose to remain your people. It is one thing to be called by his name by people on this earth. To be called by his name, by Christ himself is what we should pursue. To meet him and hear him say, “Well done, good and faithful servant.” That is what our main goal should be. Lord, we confess that we have not as a people walked in ways that are worthy to be called by your name. We have often justified our evil deeds that are not worthy of your name, by placing your word out of context. Our opinions have negatively filtered your word. Scripture tells us that there is a way that seems right to a man, yet it leads to distraction. Father, guide us away from distraction. We want to walk in the ways that are right to you, even when mankind does not approve. We are warned in scripture, that pride comes before downfall. Yet, we have been prideful as nations. We have walked in allegiance with people and things that do not represent you. Humility has long left most of our nations. We walk in pride and view ourselves as being superior to others. Do not let us fall, oh God. Redeem us from pride. Take away arrogance. We choose to be humble, oh Lord! In most ministries, prayer meetings remain some of the least attended meetings. People want to sit in the pews and receive. Very few want to labour in prayer to birth that which the Lord has in store for us. Father, you have called us to be men and women of prayer. Our eyes have become caught in activities and other things within the church. We have become too caught up with creating too many meetings with fellow man, and none with you. Our prayer closets as nations and lands have become less and less frequented. Draw us back to you, oh God. Raise us again as prayer warriors. In the name of Jesus, awaken all sleeping giants who have lost their identity in you. Lord, we have often walked blindly in wickedness. We have chosen to walk in line with our nationality, our creeds and other things that are not you. Our nations are wicked. The church has become complicit in this wickedness, oh Lord. Raise Daniels among us. Raise men and women who will stand for your truth again. Cleanse our hearts. Cleanse our consciences. Open our eyes to see the error of our ways. Give us boldness to walk away from wickedness. Grant us the strength to follow our conviction, even when it hurts. May your righteousness be clear in us, oh God! Lord, you have not turned away from us, even when we have turned from you. You have stood for us when we could not do it for ourselves. Father hear us from heaven. As we cry out to you on behalf of our land. Father we acknowledge that we have sinned against you. Forgive us of times that have strayed away from your will. We repent of walking in paths that you did not order. We repent for using your name to further our own causes, that are not your causes. Lord, we pray that you would heal our land. Bring us deliverance, from the highest office to the lowest of man and woman. Give us a new song! Raise us a new generation of believers after your cause. We trust that you have been geared and enabled as an intercessor as you have read this. Please make sure you share it. 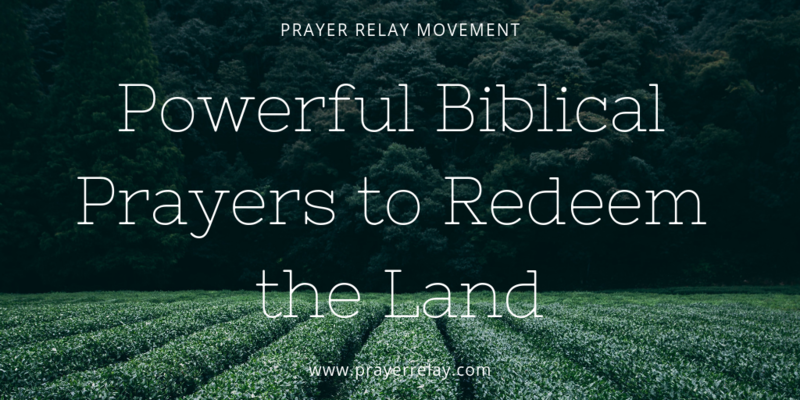 Our lands need more people crying out to the Lord for healing and for redemption. Leave comments and contributions below. We appreciate you!